Home / STORE / Naasgransgarden. / Lantern Nisse on Mushroom. 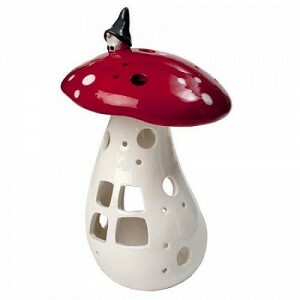 / Lantern Nisse on Mushroom 17cm. Ceramic tealight holder stands approximately 17cm high.